Start a Band. Rock the World™. 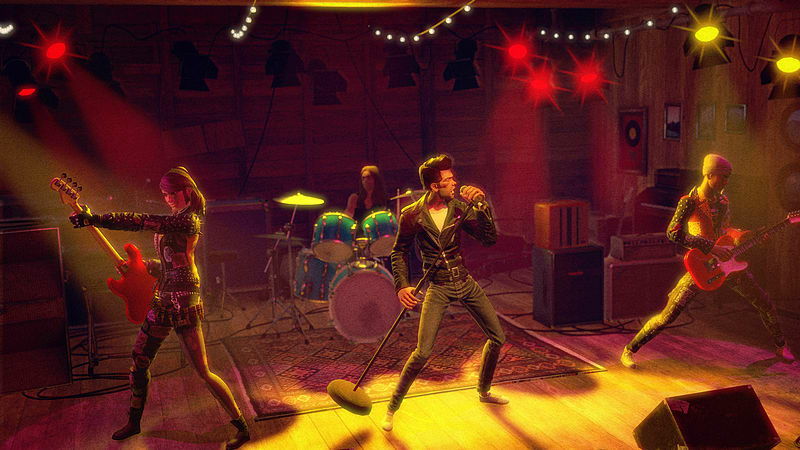 Rock Band 4 delivers the ecstatic rush of a live band performance like never before. Grab some friends and live out your rock fantasies on stage, under the lights and in front of a roaring crowd. The Most Music Available. Over 60 new tracks from rock’s biggest names and upcoming acts. More than 1,500 songs available for download through the in-game Rock Band Music Store. Freely import your previously purchased Rock Band music library into RB4. Add Your Personal Signature. Put a unique spin on your favorite tracks with Freestyle Guitar Solos, Dynamic Drum Fills, and Vocal Improvisation. Take your show on the road in an immersive new story campaign. Legacy Game Controller Adapter™. 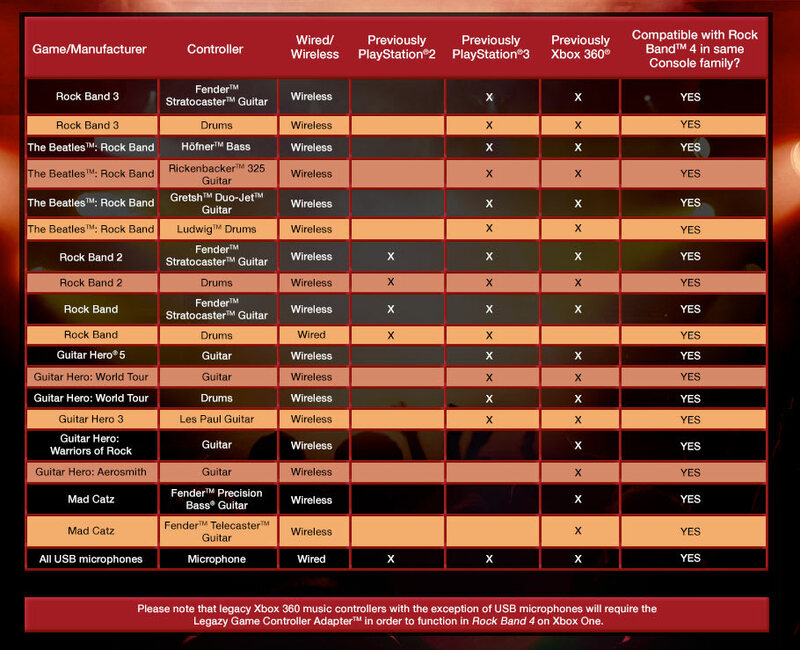 Supports legacy Rock Band wireless guitars and drums, and wired/wireless microphones from previous editions of Rock Band for Xbox 360. For use with up to four controllers at the same time. Keep the Party Going. New “Shows” mode energizes your Rock Band multiplayer experience. 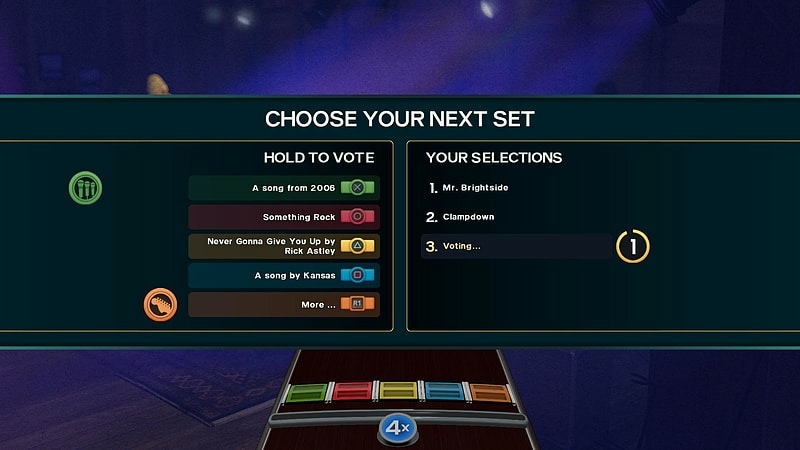 Build multi-song sets, vote for the next song, change difficulty levels, and drop in or out. All on-the-fly in one of the best party games available. 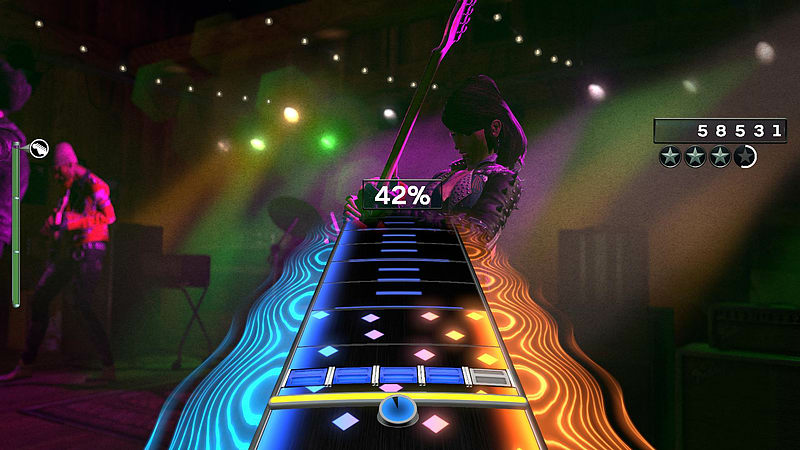 Music game pioneer Harmonix Music Systems, Inc. is taking the highest-rated interactive music gaming platform to the next level with Rock Band™ 4. Designed exclusively for current-generation gaming consoles, Rock Band 4 delivers the ecstatic rush of a live band performance like never before. Add your personal signature to every performance through groundbreaking features such as Freestyle Guitar Solos that allow players to create their own legendary solos. Combined with impressive current-gen visual polish and a soundtrack featuring some of rock’s biggest acts, Rock Band 4 aims to create the defining music gaming platform for this generation. 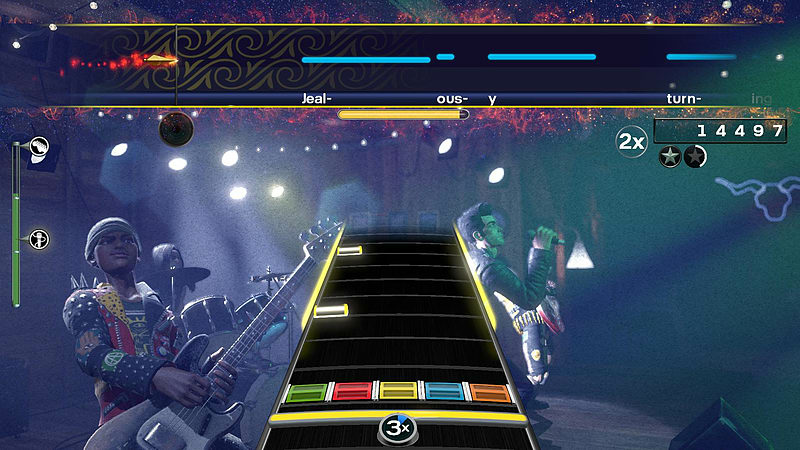 Rock Band’s award-winning gameplay experience has risen to the next level with innovative features that empower players to express themselves in ways never before seen in the music category. 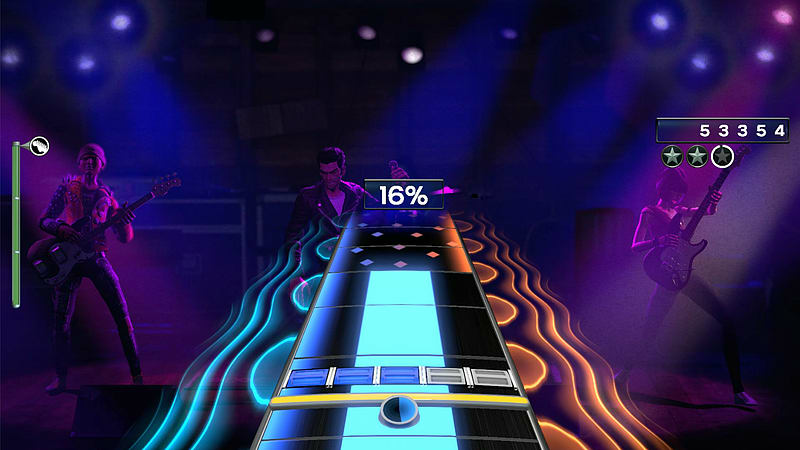 With the game’s Freestyle Guitar Solos, Guitarists can bust out unique guitar solos of their own, no lessons or music expertise needed. Accessible and fun right out of the gate, Freestyle Guitar Solo gameplay features remarkable depth, allowing expert players to string together face-melting licks and craft truly original legendary solos. 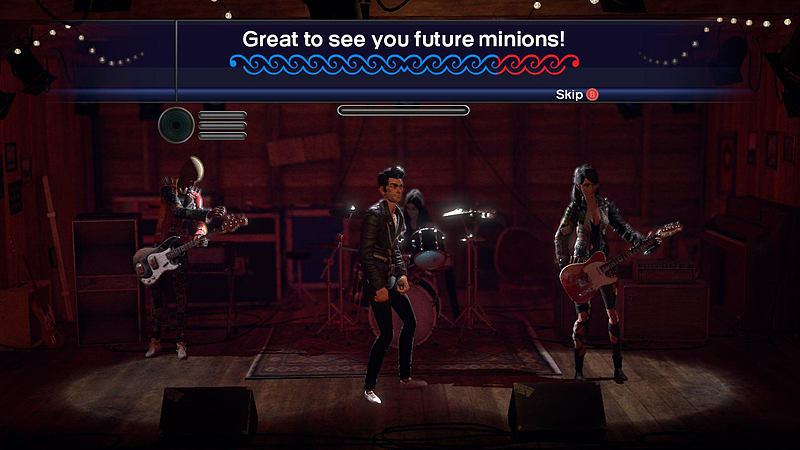 In addition, the game’s new Stage Presence allows players to work the crowd into a frenzy by flaunting their charisma and working together with their band mates for in-game rewards and real-time audience reactions. Designed based on feedback from the community, Rock Band 4 builds upon the features that matter most to players, including an immersive new story campaign and ways to make playing with your friends and family easier and more fun than ever. Start a band. 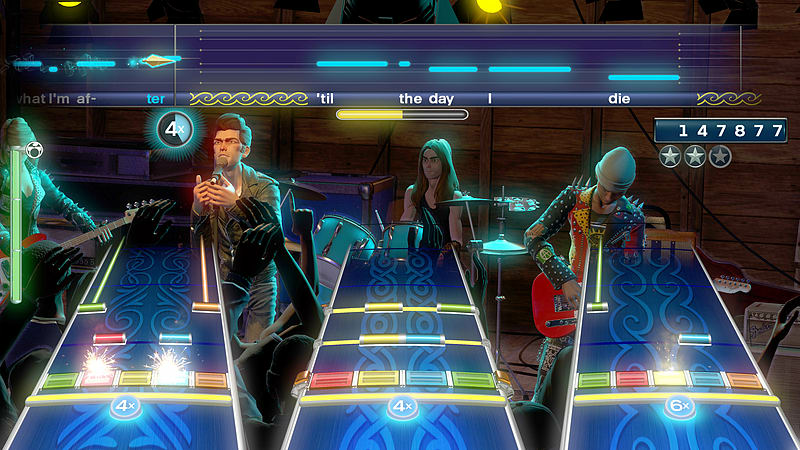 Rock the world – Rock Band 4 features an improved campaign/story experience, allowing up to four players to create and customize their in-game avatars, form a band, and build a legendary rock career. Keep the party going – The Rock Band 4 social experience gets even better with the new “Shows” mode, which allows for a fun, frictionless multiplayer experience. Players can drop in and drop out or change difficulty on the fly without interrupting gameplay. With Shows, bands can now build multi-song sets through a dynamic in-game selection process driven by you and your bandmates. This is just the Beginning… Rock Band 4 is a true music entertainment platform, and will evolve via new gameplay features, new music and more via downloadable content long after release. Rock Band 4 features a world-class soundtrack of more than 60 tracks in the core game, packed with songs from legendary musicians, the hottest artists of today, and upcoming acts on the verge of setting the music world on fire. Rock Band 4 builds on the legacy of the franchise, with over 1500 songs to be available in the game’s ever-growing Rock Band Music Store. * Fans who purchased music on previous-generation consoles will be able to play those tracks in Rock Band 4 at no additional cost.